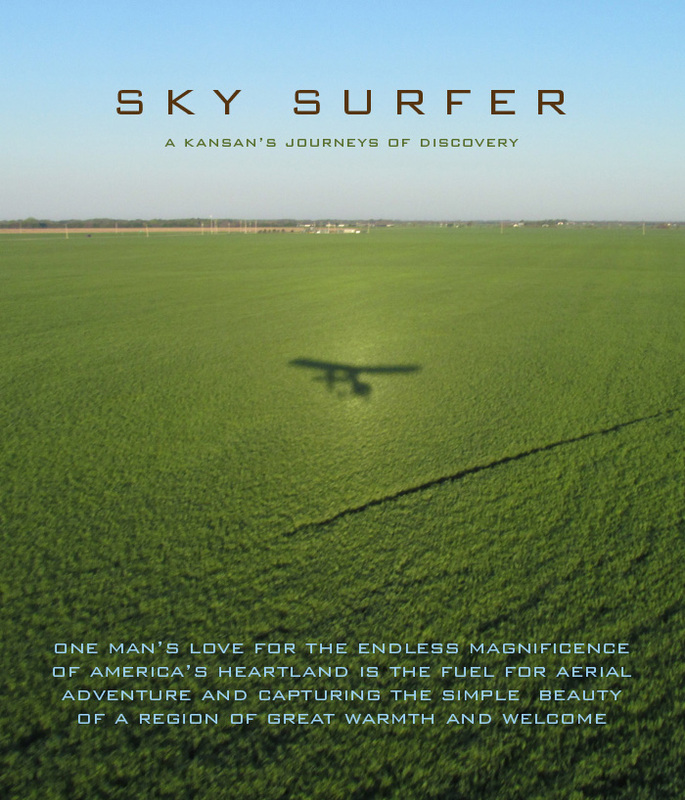 One man’s love for the endless magnificence of America’s Heartland is the fuel for aerial adventure and capturing the simple beauty of a region of great warmth and welcome. Follow this link to see more of The Sky Surfer of Wichita. To Dave: What a great tribute to Brian. Very well written and a fantastic selection of Brian’s photos. You have a talent for writing. To Brian: A well deserved tribute!! Dave has truly captured the essence of your writing with photos that reveal your appreciation of the state in which you live and the type of flying that you do. Brian, your photo essays are good on the blog, but you really should publish them as a book about the joys of ultralight flying. Dave has designed a perfect cover for it. Thanks for your commendation. I have thought about putting out a print version of The Sky Surfer’s Safaris. I believe I need another year or so to provide the number of trips to give it sufficient depth as I have a lot more venues chosen to include that I have yet to visit. I was looking forward to seeing you at The BiPlane Fly-In but I assume you did not go as I did not see you there during the Saturday part of the event. Be of good cheer, though, as I will be posting my take on it probably later today. Yes, I missed the Nat’l Biplane Fly-in, much to my regret. Winds too high, ceilings too low, and storms too frequent here in Oklahoma on both Thursday and Friday. I might have made it on Saturday, but it takes the Celebrity a few hours to make the trip and with Saturday the last day, it seemed prudent to just stay home this year. Sorry I missed you though. I did see a picture of the Quicksilver on the Geary County Convention Bureau’s 2013 video of the event. I look forward to reading your commentary and seeing the pics you took. Got to catch up on reading your more recent trips too.